You know how you have those favorite family meals? The ones where everyone in your family likes it so it becomes a regular in your home. 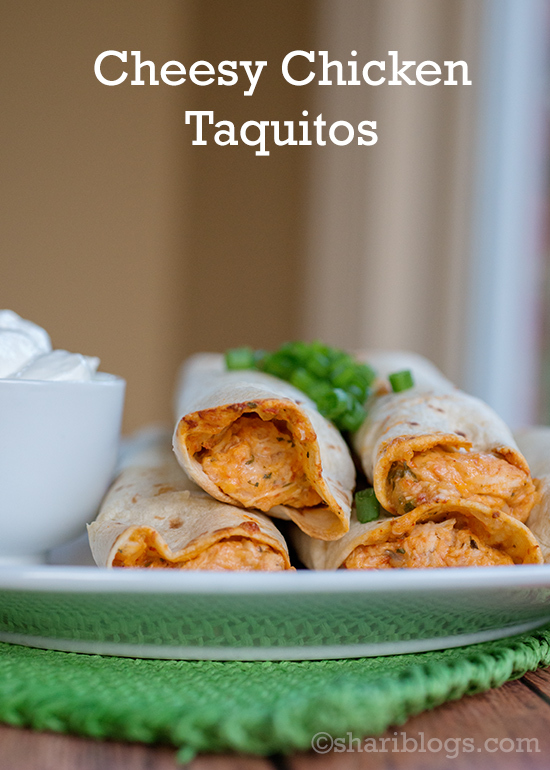 That is the case with these Cheesy Chicken Taquitos in our house. It can be really hard sometimes to find something that all five of us like, but there’s not one complaint when these are on the table. They really are so good! I have to admit that I am a huge fan of mexican inspired food so I always love when I find a new recipe to add to our family cook book. Preheat oven to 425°. Line a baking sheet with aluminum foil and spray with cooking spray. In a large mixing bowl, add cream cheese and rotel. Mix until they are blended well. Add cumin, shili powder, lime juice, and salt. Mix well. Add shredded chicken, mexican cheese, green onions, and cilantro. Stir until all is well combined. Add a line of chicken mixture about an inch from the edge of the tortilla. I use about 2 Tbsp or so of mixture per taquito. Repeat with each one and place on baking sheet making sure they aren't touching one another. Bake in the oven for 15-20 minutes or until they are lightly browned on the edges. Remove from the oven and serve. 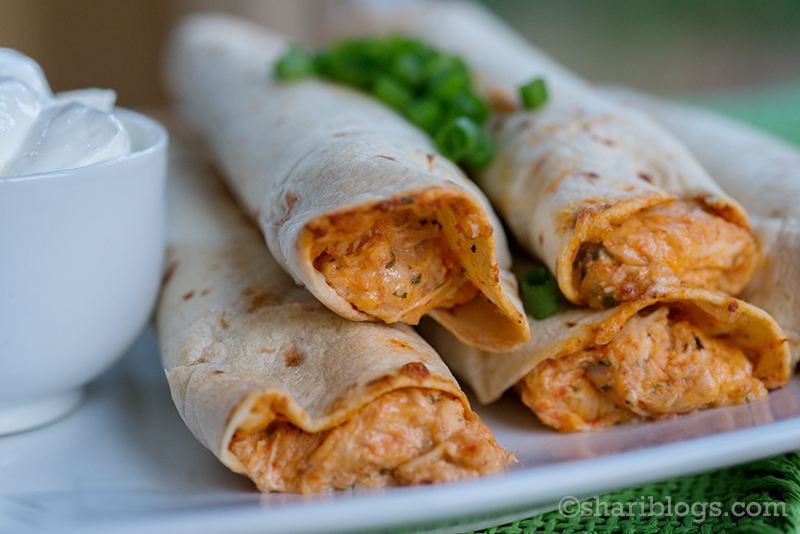 * I used the medium size tortillas here and got about 7 from this recipe. We like to fill ours up. 🙂 You can get close to 10 when you use the smaller tortillas and don't use as much filling in each one. *Recipe adapted from Our Best Bites.